We finally went to visit the memorial at World Trade Center yesterday. I’ve been wanting to go for ages and we’ll have to go again because we didn’t visit the museum. Raging headaches aren’t conducive to answering a child’s questions in an appropriate manner. I used to have some apprehensions about visiting. I’ve seen monuments celebrating war victories that left me troubled. Wars are horrible beasts that destroy countless lives. I feel that monuments should reflect that, even the ones built by the victors. And this one does. 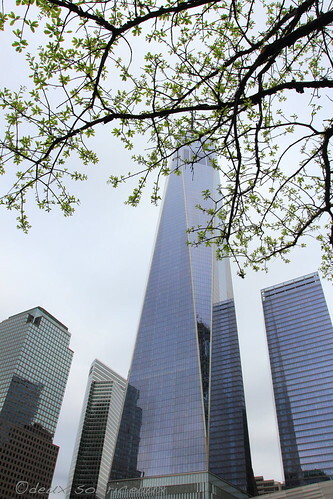 Obviously, the 911 memorial isn’t commemorating a victory but a terrible attack. Still, it could have gone horribly wrong. It didn’t. 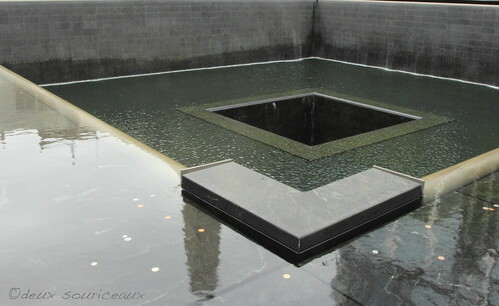 The 911 memorial has such a peaceful, reflective, solemn quality. The reflective pools are impressive but not flashy. They call to mind the magnitude of what happened there. And the trees. 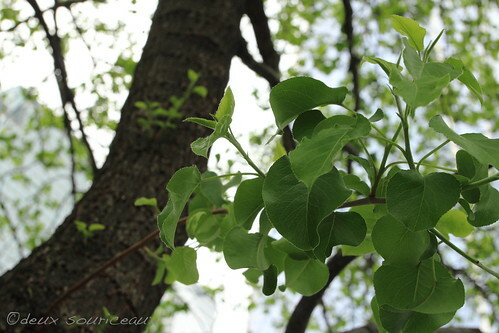 Brand new trees growing. I can imagine the plaza becoming almost like a forrest one day. And that one surviving tree, nursed back to health and standing just as strong as before. I didn’t see much by way of text. The names of the victims and why some names have roses next to them. And it was perfect that way. The whole memorial speaks for itself without the need for tons of explanations. It expresses the sadness and horror of that day and balances it with hope and quiet strength. I hope to visit the museum soon. PS: I apologize for my lack of eloquence. My words failed me, just like they did when I visited the Dachau concentration camp and Juno beach. In a sense, I suppose it’s appropriate.